Courtesy of ROYAL HIGHLANDER REAL ESTATE. 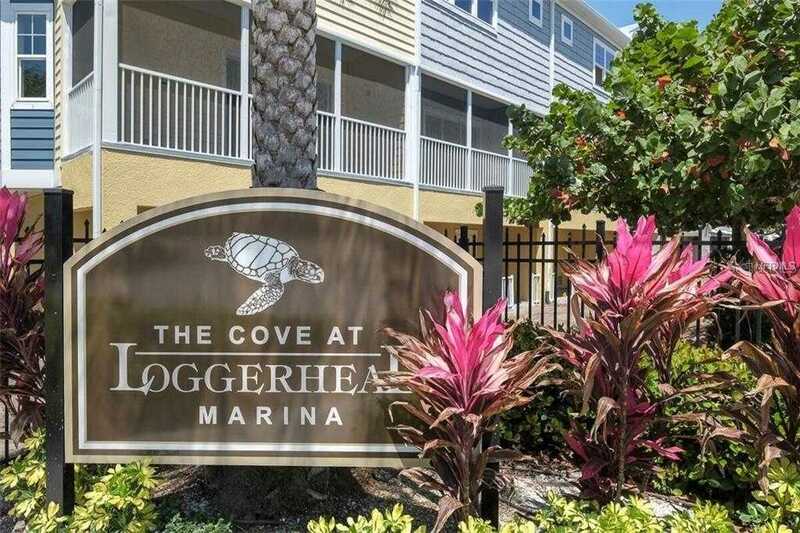 3 story Townhome with elevator & garage in South St Pete located within Suntex Marina. Enjoy the one of a kind park-like location without diesel boat engine fumes blasting your patio or waking you up on a sleepy morning. Enjoy privacy and stroll to see the manatees in the basin. Home includes private elevator from 2 car garage to 2nd & 3rd floors. Put your groceries in & have them arrive without effort. Great room concept with surround sound & dual rotating ceiling fan adjoins dining area. Open social kitchen features breakfast bar, granite counter-tops, back-splash, microwave, dishwasher, disposal, all wood cabinets with pot drawers, pullout shelves, crown molding, light rail, under-cabinet lighting, closet pantry, extra can lighting, wand faucet & extra double pantry around corner. Oversized master suite features bath with granite counters, raised vanity height solid wood cabinets, frameless glass enclosure, two shower heads, bench & shampoo niche. 2nd bathroom is wheelchair accessible. Upstairs laundry room with wood cabinets. Upstairs screened balcony with tile floor overlooking garden & conservation area is quiet & serene. Downstairs covered patio with pavers opens off 2 car garage with epoxy floor, 11×19 storage/workshop area & under-stair storage. Whole house surge protector. Association maintains ext & flood ins. Community pool, Captains Lounge & seawall shared with Suntex Marina. 10 minutes to Tierra Verde/St Pete Beach & 10 min to Downtown St Pete. Perfect access to Sunshine Skyway Parks. Amenities Additional Fees: One time capital contribution of $1000 due at closing. Please, send me more information on this property: MLS# U8028128 – $420,000 – 6036 Anchorage Way S, St Petersburg, FL 33712. I would like to schedule a showing appointment for this property: MLS# U8028128 – $420,000 – 6036 Anchorage Way S, St Petersburg, FL 33712.